The Yi 4K action camera can result in some great footage, especially when you pair it with a gimbal. But not all stabilizers are compatible with this camera. 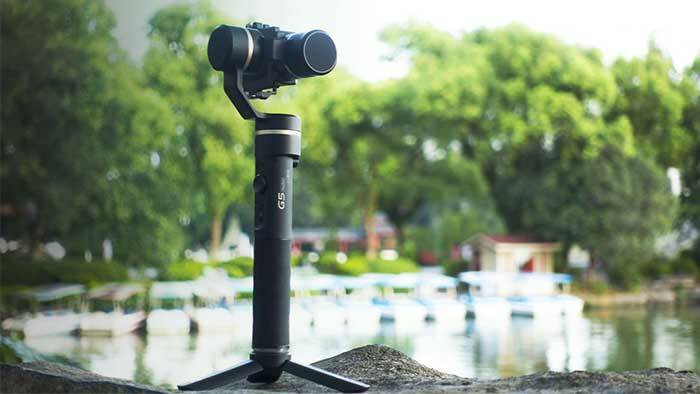 The Feiyutech G6 stabilizer l is easy to use and offers good battery life. The 5000 mAH battery will give you 12 hours of shooting time. A really nice feature is the ability to charge the camera while using the gimbal. When using this option the G6 will only last around 5 hours. The OLED screen gives you easy access to important information like battery life, the current working mode, and the camera mode. The 1/4-inch threaded mounts at the bottom make it easy to attach accessories. If you like to use your Yi 4K plus to shoot near water like for watersports, you’ll be happy with the splashproof technology of the G6 which means it can handle getting a bit wet. The G6 has a number of good shooting modes like lock mode, pan following mode, selfie mode, panorama mode, and it even allows for exciting time-lapse photography. Panning and tilting angles are 360° while the rolling angle is 320°. You do get a fairly nice carrying case and a mini tripod with this gimbal. Verdict: The splashproof and user-friendly FeiyuTech G6 is the best gimbal currently on the market for the Yi 4K. For use with a Yi action camera like the Yi 4K, what could be better than a gimbal made by Yi? It doesn’t quite match up to the FeiyuTech G6 but it comes pretty close. This 3-axis gimbal offers 320° pan/tilt rotation. It has integrated Bluetooth, allowing you to easily control your Yi 4K from one place, with one hand. The four stabilization modes (Pan, Pan & Tilt, Lock, and Selfie Mode) offer plenty of versatility and can provide stable footage in a variety of shooting conditions. The battery life is pretty good, as the two built-in provide 6-8 hours of battery life on a single charge. Designed with ergonomics in mind, this gimbal is comfortable to hold even over long periods of shooting. With a standard 1/4″ thread mount, it’s easy to attach this gimbal to any accessories if desired. A major downside to the Yi gimbal is that the motor noise from the gimbal is picked up really well on the in-camera microphone, something that can really ruin an otherwise beautiful video. Using an external microphone might solve this problem. Verdict: The Yi Action Gimbal Stabilizer is perfectly compatible with the Yi 4K action camera and has a lot going for it but there is definite room for improvement. Designed for versatility and convenience, the updated version of the Feiyu WG2 has a lot to offer. The movement of the rolling arm makes it easy to find the perfect balance for your camera. 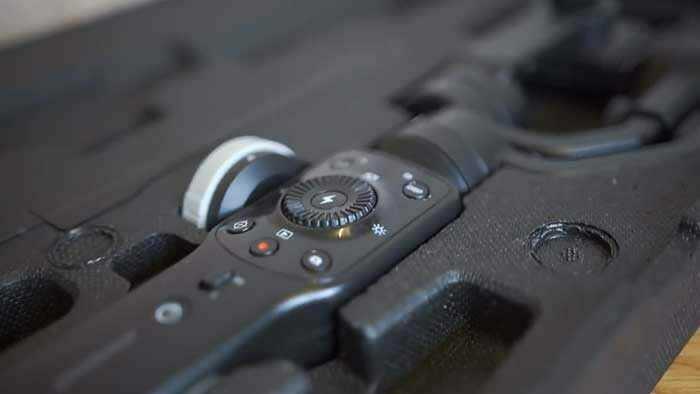 The rolling arm has built-in a special mark for the Hero4/5 but not the Yi 4K. Despite not having a mark, balancing the Yi 4K plus action camera is quite straightforward. 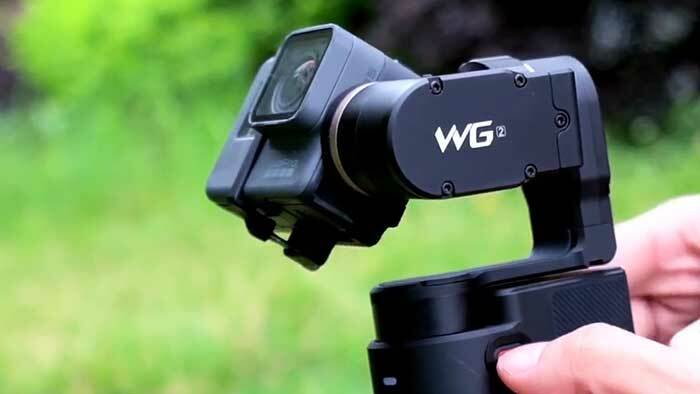 One of the biggest selling points of this gimbal is that it is waterproof, making it a great choice for the watersport enthusiast or for anyone who likes to shoot with their action camera in wet environments. You can even use it underwater but only for 10 minutes at a time. Another great feature of the WG2 is the inclusion of two quarter-inch threaded mounts, one on the bottom and one on the back. This lets you use more accessories. It makes it a really versatile gimbal since you can use it with a helmet, chest, bike, selfie, skateboard car, and more. Operating the WG2 from afar is easy and you have the option to use either a remote or the Feiyu app. The WG2 comes with a carrying case, a mini tripod, and an extendable monopod. There are a number of available shooting modes and the tilting and panning angles are 360° unlimited. Battery life is not great with the WG2, offering only 2.5 hours on a single charge. That said, it is easy enough to extend this using a power bank. Verdict: Despite being a bit heavy and having poor battery life, the updated version of the Feiyu WG2 is a good option for Yi 4K users, standing out for being waterproof and offering great versatility. Some gimbals take a while to get balanced, calibrated and otherwise adjusted to fit a particular camera. The EVO GP Pro is not one of those gimbals, as it truly offers plug and play functionality out of the box. This gimbal provides stabilized footage thanks to high-power, high-torque motors. Battery life is decent, with up to 5 hours on a single charge. Additionally, you can extend the battery of the action camera by 4-5 hours. A big advantage of the EVO GP Pro is speed. With a refresh rate of 4kHz, you’ll get smooth and stable shots faster than you would with other gimbals. Available stabilization modes are Pan Follow, Lock, and Full Follow. There is also a 4-way joystick to easily adjust as you go. Like most EVO products, the build quality is quite high and this gimbal should be durable. Verdict: The reasonably priced EVO GP Pro stands out for being incredibly fast and standing behind its excellent built quality with a 1-year warranty. The newest version of FeiyuTech’s G5 gimbal offers IP67 splashproof technology and a number of nice features. With an intuitive interface, using this gimbal is very straightforward. Balance is accomplished with counterweights and it’s fairly quick and easy to get the balance right. Using either the function button or the 4-way joystick, it’s simple to make the gimbal do what you want it to. Using Bluetooth, you can also control the gimbal via the Feiyu app. The unibody motor arm offers excellent stability and improves the anti-shake functionality. You have angles of 360° for the pan and tilt axes and 245° for the roll axis. The G5 comes with a carrying case and a mini tripod. The lightweight tripod is easy to use with the threaded mount on the bottom of the gimbal. Featuring great build quality, the G5 has an all-metal design, resulting in a very nice-looking and durable piece of equipment. A bit more affordable than the G6, the G5 does come close to matching its predecessor but it does fall short. Verdict: Although not as robust as the G6, the splashproof FeiyuTech G5 has a lot to offer for users of the Yi 4K or yi 4k lite action camera. 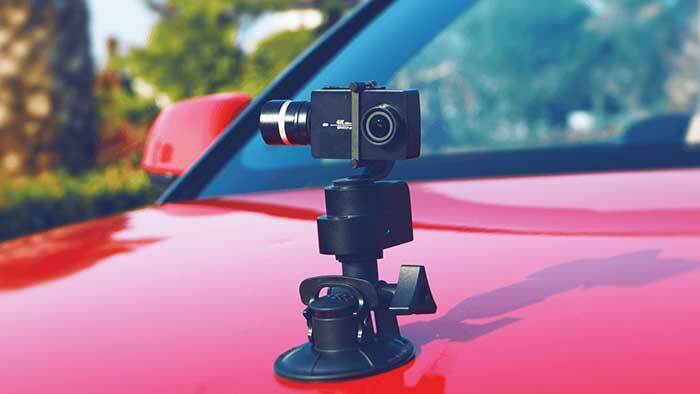 Another perfectly compatible option directly from the same manufacturer, this Yi Gimbal also has an appealing low price. That low price tag means that it doesn’t come with any of the extras you see a lot of gimbals being packaged with. Battery life isn’t great, at only 2-4.5 hours but it’s more than enough for a lot of uses. A universal 1/4″ thread mount means that you can attach accessories, as desired. You could mount the gimbal on a tripod or an extension pole, for example. This 3-axis pan/tilt/zoom gimbal offers 320-degree rotation for pan and tilt. Stabilization and anti-shake performance is quite good with a built-in high precision sensor and brushless motor. Verdict: The simple and affordable Yi Gimbal has some positives but also some significant issues. Another low price gimbal that works well with the Yi 4K, the Hohem iSteady Pro features a one-piece design. This design adds to the overall stability. It offers excellent anti-shake performance thanks to the high torque, low power consumption motor. The battery life is excellent, offering up to 12 hours on a single charge. The built-in 4000mah battery indicator tells you how much power is left so you don’t necessarily have to be watching the clock. Two-way charging is a convenient option to help the action camera get through a long shoot without the need to stop to recharge. 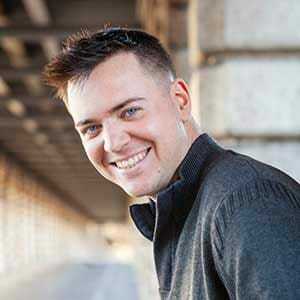 Controlling the gimbal via an app is a convenient option. The iSteady Pro has a Pitching Angle of 320°, a Rolling Angle of 320°, and a Panning Angle of 640°. 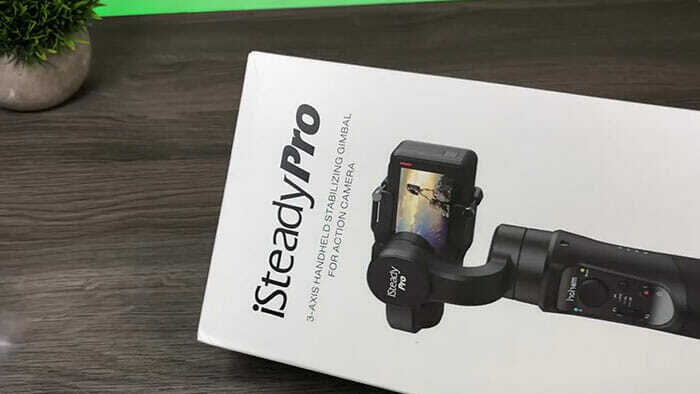 Verdict: The Hohem iSteady Pro is the best budget gimbal on the market that will work with the Yi 4K action camera. 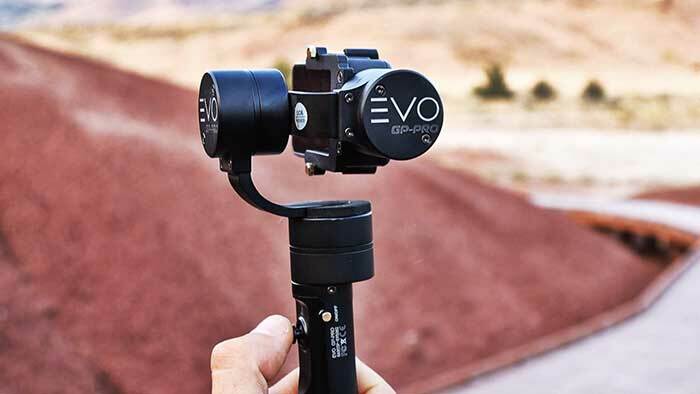 EVO is known for their plug-and-play simplicity and the SS is yet another EVO gimbal that is ready to go immediately. If desired, you can control this gimbal via Bluetooth using either an app or a remote control. A very welcome feature of the SS is the inclusion of a 3.5mm AV audio/video output port for an external monitor. It also features the standard 1/4″ female thread on the bottom for attaching the gimbal to things like tripods. You can also use it attach the included telescoping extension pole. The SS also features a few novel features. You can manually set the tilt angle if desired. There is also the new turn-back mode that rotates the camera 180-degrees backward 180 for capturing footage behind you. Two-way charging lets you extend the life of your action camera and might even give you enough juice to double your shooting time. The mounting tray is also designed to accommodate an additional battery pack if desired. 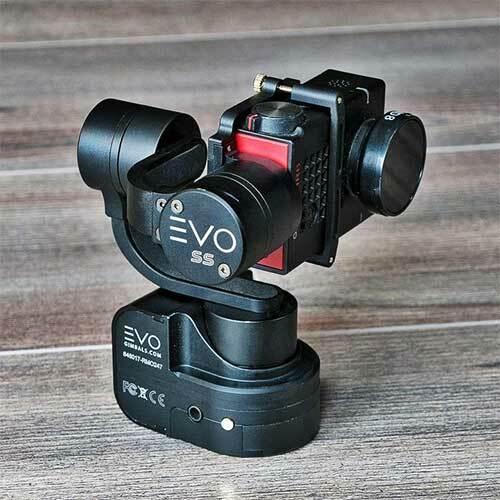 Verdict: The EVO SS is another good option from EVO that offers straightforward operation, good stabilization, and some nice features and modes. 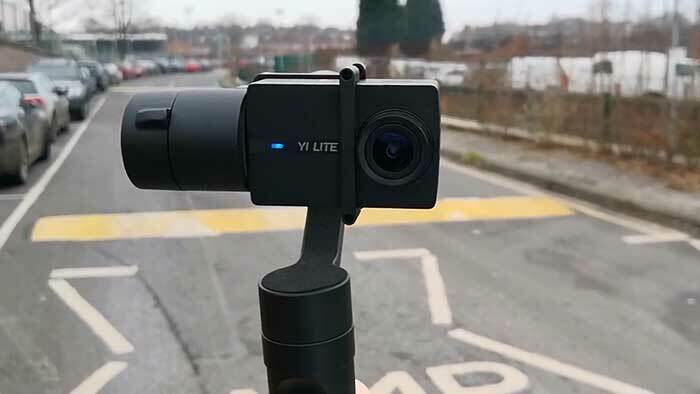 The DJI Osmo Mobile 2 is a gimbal designed specifically for smartphones but with an adapter, it works really well with a Yi 4K, 4k plus and light.. This makes it a good choice if you shoot with both your Yi and your phone. One of the best features of this gimbal is the ActiveTrack mode where you select a subject and the gimbal will make sure camera smoothly follows the subject as they move. Another great feature is the built-in zoom control that allows for cinematic zoom. Motion timelapse is another mode that this gimbal does really well. 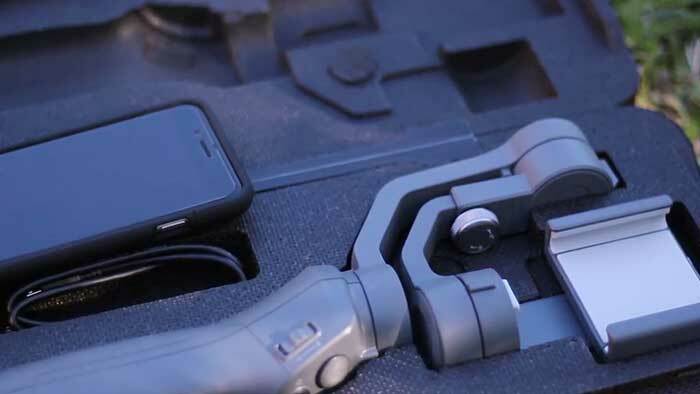 The Osmo Mobile 2 is lightweight and easy to take with you on the road. It offers an incredible 15 hours of battery life and it does offer 2-way charging to keep your camera going. The smoothness and stability of this gimbal are quite impressive, eliminating all of the bumps and shakes you typically get. 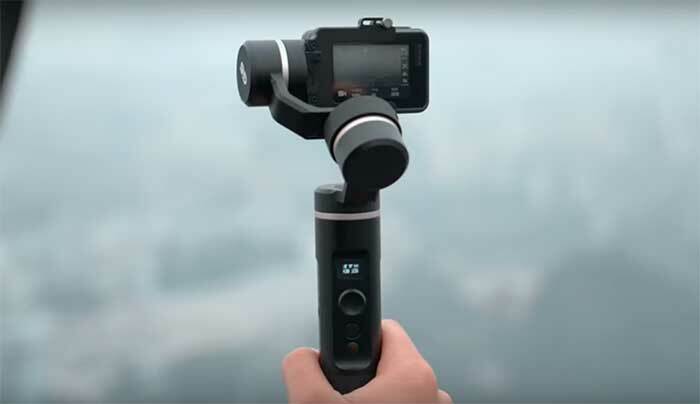 Verdict: Although aspects of its use can be tricky, the DJI Osmo Mobile 2 With Adapter offers excellent stabilization and lets you alternate shooting with your Yi and your smartphone if desired. This is another good affordable option that lets you shoot with both your Yi 4K action camera and your smartphone. Both the gimbal and the adapter are reasonably priced and the overall performance is quite good. A unique feature of this gimbal is the follow focus handwheel that lets you easily and smoothly zoom in and out. Other valuable features are the object tracking capability as well as the Timelapse, Motionlapse, and Hyperlapse modes. The Smooth 4 offers 12 hours of runtime and you can also use the gimbal to charge your action camera or phone while shooting. This gimbal comes with some nice accessories, including a carrying case, a small LED light, and an extension stick. The adapter plate from EVO is compatible with the Smooth 4 and it is very straightforward to attach and balance it. Verdict: The Zhiyun Smooth 4 with the action camera adapter from EVO is another affordable option that offers long battery life and the flexibility to shoot with both your Yi 4K and your smartphone. With a good gimbal, the Yi 4K action camera can be a tool for creating cinematic magic. By capturing your adventures without any of the bumps and shakes you normally get, the footage is much more enjoyable to watch. Have you seen any of these gimbals in action? What did you think? Do you have any questions about using a gimbal with your Yi 4K? Ask in the comments and I’ll do my best to answer. Please share this list with other Yi 4K users! I bought a Gimbal G6 and I see that it is not fully compatible with the cameras Yi 4k or 4K plus. The selection of the camera in the wifi connection is only for GoPro or Sony RX0. The wifi of the camera is well detected by the Gimbal and the wifi icon on the OLED screen show that the connection is done. When I try to connect the camera to the Feiyu ON app, there is no connection and I can’t control the camera to take video /photo and set the working modes. Can we connect this Gimbal G6 to a camera Yi 4k so as to have all the possible functions of this Gimbal ? Many thanks for your Awesome post! I just bought a Yi 4k+. I’m interested in the Zhiyun smooth 4. Does it work with the YI4K+ as well as the Yi 4K?